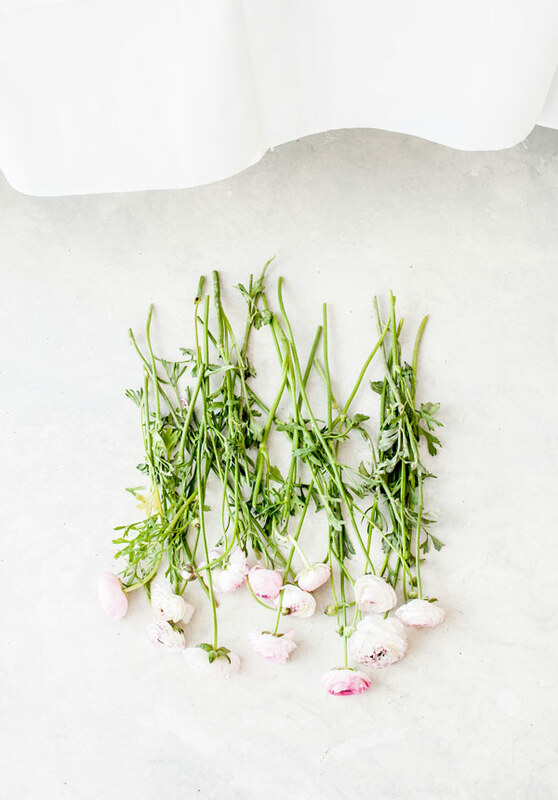 Celebrations do not necessarily have to be big to be memorable. Sometimes the most intimate gatherings leave the most lasting impressions. Maison May is just the right place for those special moments. 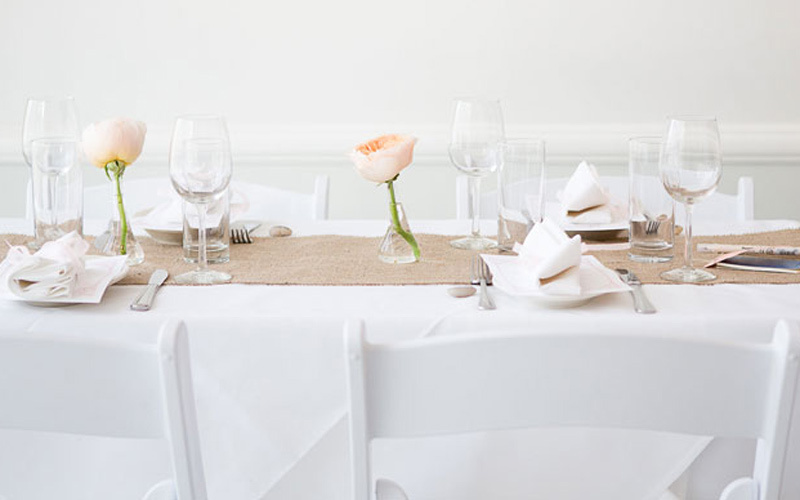 Our romantic Brownstone is the perfect setting for small weddings for up to 48 guests. 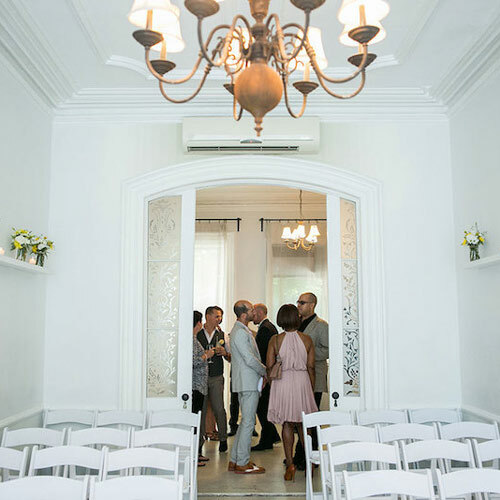 With a variety of event spaces and configurations available, the historic building offers many different angles for a rustic-chic wedding ceremony and hence delivers everything you’d wish for from a truly intimate gathering. The elegant, white Parlor Room with its original details and crown moldings stands in spectacular contrast to the warmth of the Maison May dining room in the style of a French country home. Everything gets tied together by the lush, green garden that hides at the back side of the building. 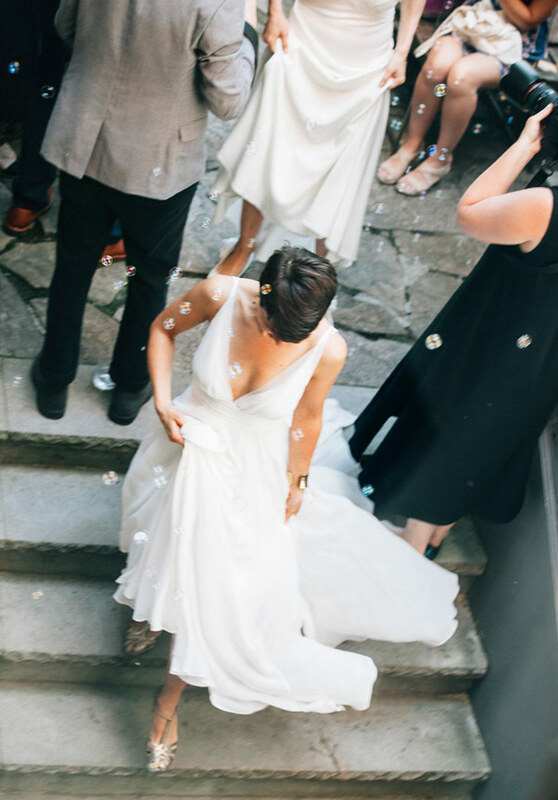 As a result, our Brownstone makes an extraordinary setting for a small rustic-chic wedding. 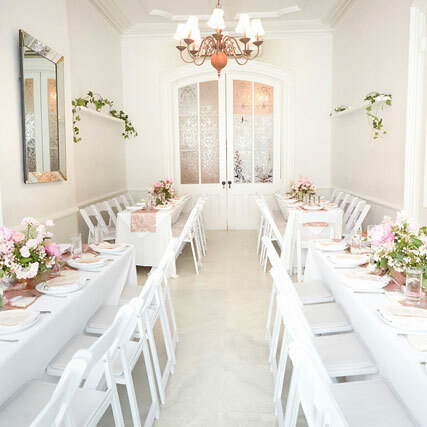 Guests can float effortlessly between the event spaces –from rustic chic to sophisticated elegant – and enjoy the best of both worlds in one – small and intimate – unique wedding. 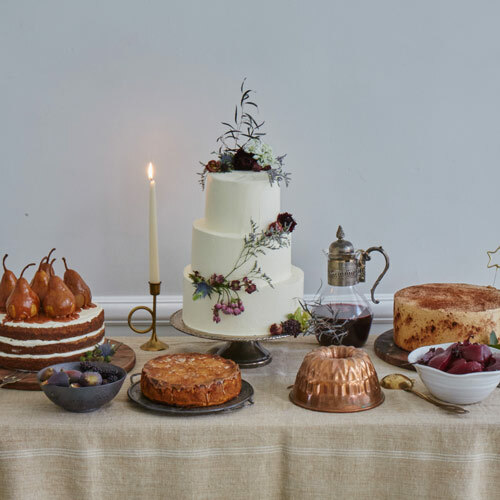 Regardless of if you’re planning a rustic chic wedding of 48 people on a budget or a lavish extravaganza, the Maison May Events team always puts the same amount of effort and love into every wedding. Our experienced events team will guide you step by step through the entire planning of your wedding. We help you figure out the best configuration for your particular event and group in order to make ideal use of our event spaces, bring your vision alive to create the most memorable and intimate gathering for you and your guests.